Description - Alchemy carpet tile squares feature a stripe pattern that can be installed in various installation patterns allowing you to create unique and custom patterns across your floor. Easy to install and maintain, these residential carpet tile squares are constructed with over 40% post consumer recycled material making these tiles truly 'Green'. Backed by a lifetime warranty, these modular carpet tile squares are also resistant to mold and mildew growth and help improve the air quality in any room installed. Recommended Installation Pattern - 1/4 Turn (Parquet), Monolithic Ashlar, Brick, or Random. Material - Constructed with over 40% post consumer recycled 100% solution dyed nylon with Nexus backing. Weight - ~0.69 Lbs. per square foot. 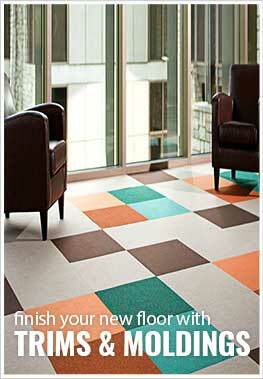 Recommended Uses - Alchemy carpet tiles are the perfect tiles for any residential space. Easy to install and maintain, these tiles have been used a flooring in basements, home offices, living rooms, family rooms, kids rooms, as flooring for dining rooms, in indoor patios, in man caves and much more. Helps improve air quality where installed. Great as a custom rug or whole room flooring.